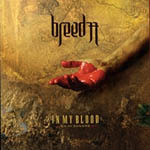 Breed 77 have been building up a loyal and growing following for their Latino metal. This album could well break them into another level as it is simply wonderful! From the infectious single 'Blind' through to the ballad 'Look At Me Now' Breed 77 have nailed down some killer tunes. Many tracks start slowly with acoustic intros before the pounding riffs kick in like on Empty Words' and 'Remember That Day. Their sound has hints of System of a Down (mainly in the vocals) and the long lost Nuclear Valdez as both these and Breed 77 now how to keep the melodies at the forefront of a guitar barrage. Breed 77 have made a great album and one you should endeavour to track down. One of the most original and enjoyable bands to emerge from the metal scene for many years.